Mary Poppins returns to Cherry Tree Lane and adventures are sure to follow! 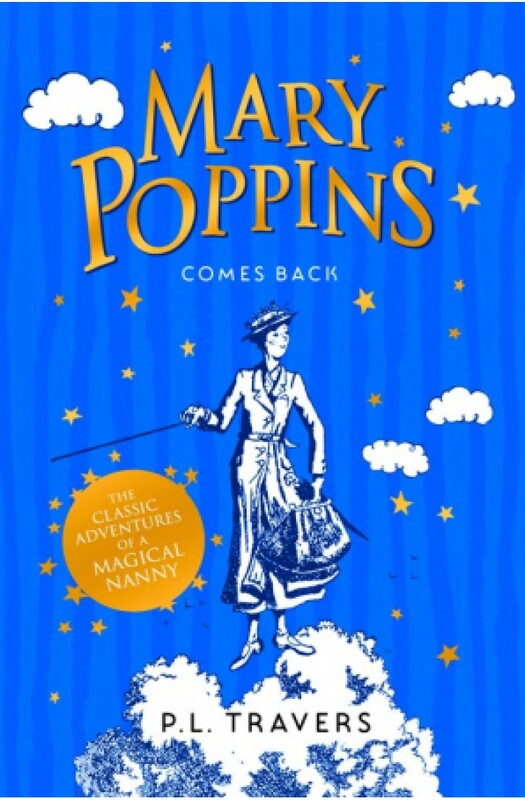 The second book in the original Mary Poppins series. On sailed the curious figure, its feet neatly clearing the tops of the trees. They could see the face now, and the well-known features coal-black hair, bright blue eyes and nose turned upwards like the nose of a Dutch doll. The figure drifted down between the lime trees and alighted primly down upon the grass. Mary Poppins, Mary Poppins! they cried, and flung themselves upon her.